It shows how emotional they really are. 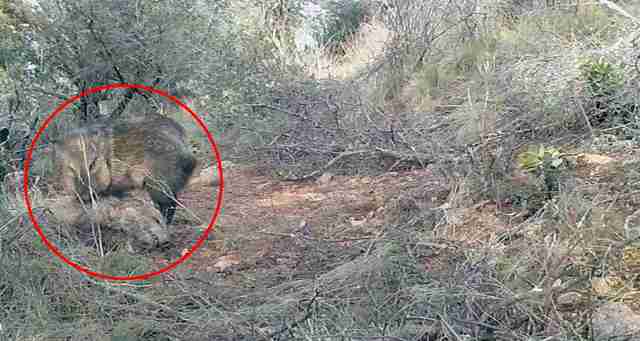 Just before his 9th birthday, a fourth grader living in Arizona discovered a wild pig behavior that scientists had never seen before — and it’s changing the way people think about the emotional lives of animals. Dante de Kort decided to study a wild type of pig, the collared peccary, also known as a javelina, for his science fair project after his grandparents gave him a special type of motion-sensor camera as an early birthday present. "Where we live, in the middle of a forest, we see coyotes and deer and javelina a lot," Dante told The Dodo. "I remember one particular moment. My grandpa had come down to visit us and me and him were just sitting on the couch, and I looked outside the window and about seven javelina were just walking right by our house." Dante started filming the animals, and his interest made his whole family curious about the javelina. They realized that Dante might be onto something particularly interesting when his mom read an article that mentioned how the collared peccary just goes off into the forest alone to die. This wasn't what Dante had observed. The javelina around Dante's house seemed to be doing something quite touching when a member of their species died. Rather than showing disinterest in a friend's lifeless body, they gathered around it, sat with it and even revisited it. This is significant: Generally, scientists see species who mourn their dead as portraying exceptional behavior. 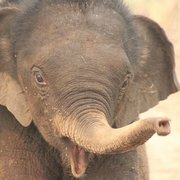 It has been traditionally thought that, aside from human beings, only elephants, chimpanzees and marine mammals show these kinds of complex social bonds and emotional behaviors. But even Dante couldn't have expected what would come of his project. Not only did he win second place for his school and go on to the tri-city science fair competition, he also met someone who would recognize just how important his work on the collared peccary was. Dante was at the tri-city science fair when this happened. "I was just about to go over to where they announce the prizes when I met Mariana," he said. Mariana Altrichter is a researcher and faculty member at Prescott College and also happens to serve as the chair of the International Union for the Conservation of Nature (IUCN) Peccary Specialist Group. "I was at the science fair because my daughter was presenting her project," Altrichter told The Dodo. "I was walking around looking at projects related to natural history when I came across Dante's poster, showing pictures of collared peccaries ... When I started to read it I couldn't believe what it was about." Altrichter had never heard of any observations of peccaries reacting in any special way to death. "I thought that his findings were amazing and knew that he had found something very special," she said. Dante's poster also detailed how he had tried reaching out to peccary researchers to ask questions about his findings but he hadn't received any responses. "I loved his initiative to try to initiate a dialogue with researchers and, because he was not present at the moment, I left him a note saying who I am and expressing interest in talking further about this project," Altrichter explained. And that's how a collaboration was born. Dante and his mom met with Altrichter and discussed the discovery, which Altrichter thought should be published in a scientific journal, with Dante's name on it. "She said, 'This is something that has never been seen before,'" Dante remembered. "I was surprised that I had captured something that was never seen on video or even heard of before." Altrichter said that the most impressive part about the research to her was seeing the animals trying to pick up the dead individual as if they were trying to revive it. "I remembered learning about elephants doing that and I couldn't believe the peccaries were doing something so similar," she said. "It is also impressive how evident it is that the animals are in distress and they are not doing just some routine behavior." While it's becoming more recognized that animals have the capacity for grief, Altrichter pointed out that it's still not widely accepted. "People keep thinking that these may be coincidental behaviors, not necessarily true responses to death," she said. "The more information we gather, especially if it is documented with videos and hard data, the more we humans will get to accept that animals can have feelings and emotions and that they are not as different from us as many would like to believe." The article on Dante's findings, "Collared peccary (Pecari tajacu) behavioral reactions toward a dead member of the herd," was published in December in Ethology, an internationally recognized scientific journal of original research on animal behavior and physiology. Altrichter hopes that this will better the reputation of javelina. "Many people see them as a nuisance, especially in the U.S., as they walk through people's yards, eat ornamental plants, etc.," she said. "These findings may help people to see them in a different way, as smart animals with complex social relationships." She also sees Dante's method — setting a sensor camera beside an animal carcass — as something that other scientists can replicate to learn more about how other kinds of animals handle death. As for Dante, he's starting to think about the next science fair project. "This year we’re doing an engineering project, but I do want to keep studying animals, not just javelina but other animals that live around my house," he said. As for what he wants to be when he grows up, he's not totally sure yet. "I’m still figuring it out. I’m sure it’s going to change, but right now I’m thinking about studying animals more," he said. "But I’ve also always loved sports, too." When asked if he ever thought he'd be the coauthor of a scientific study at his age, he adamantly said no. "I couldn't be happier," he said. "I really like how it worked out."